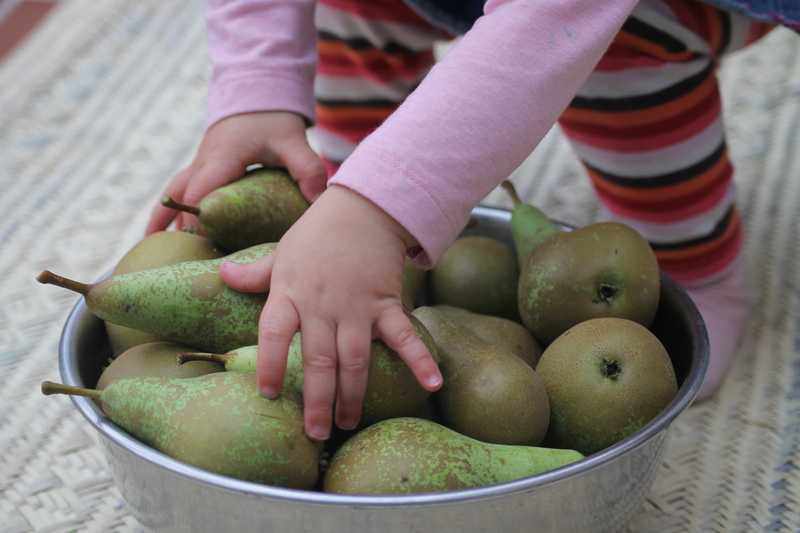 We have a pear tree in our garden that never stops to amaze me at how much fruit it can produce. 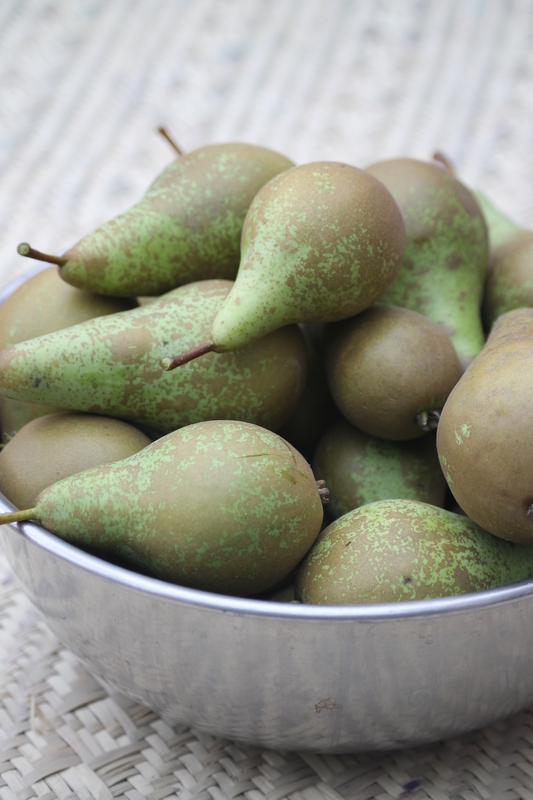 They are deliciously sweet conference pears and at this time of year I always have to find ways to use them up. In the past, I have made jars of mulled pears, chocolate & pear cake and all kind of sweet, tasty but not so healthy recipes. Last year, our tree had an off year (apparently it happens once in a while) and it didn’t even produce one pear for us to eat. It actually wasn’t bad timing, as with a newborn baby I don’t think I would have had much time to use them up. But this year, with a hungry toddler to feed, the tree has decided to give us a bumper crop. 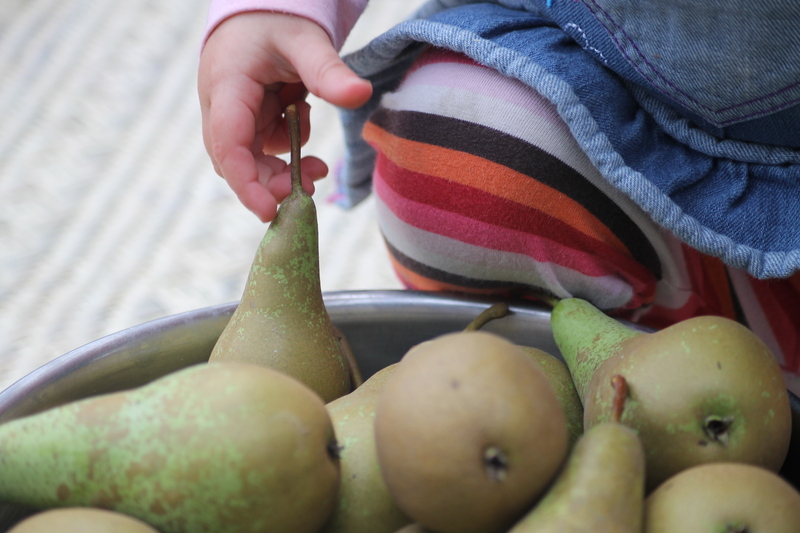 I have made fruit compotes, cakes, and eaten plenty straight off the tree but I also wanted to come up with a way of making one of my favourite recipes‘ Tarte Tatin’ which my little girl could also enjoy. To make it suitable I ended up making a caramel from an apple & pear spread that contains no refined sugar…and it worked! Better than that…it is delicious. Make the caramel by melting the butter in a small pan and adding the apple and pear spread. Mix well as this has a tendency to split. 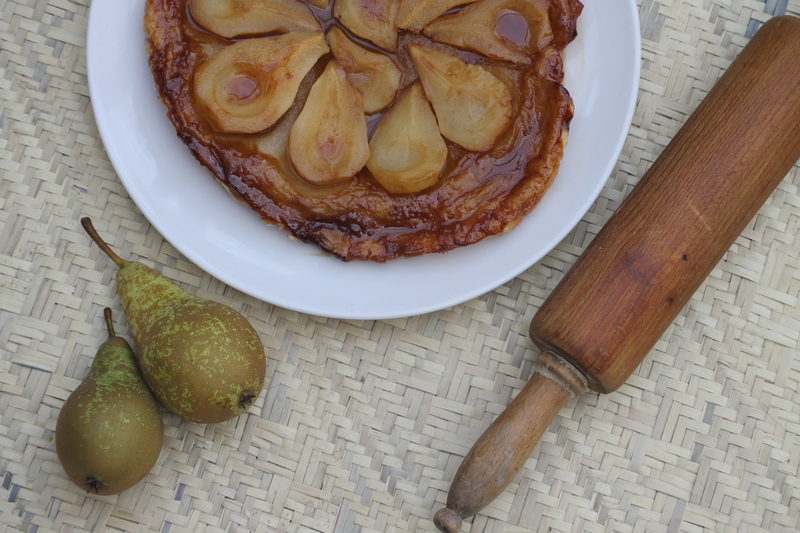 Pour the caramel in a tart dish and lay the halved pears over (sliced side down) and arrange neatly in a circle with a couple of halves in the centre. Leave a 1-2 cm gap around the edge Lay the rolled puff pastry over the top and tuck the edges in around the pears inside the dish. Place in a preheated oven at 200 degrees Celcius for about 25-30 minutes. Until the puff pastry has risen and is nicely cooked through. Take out of the oven and leave to cool a couple of minutes before turning over onto a plate.